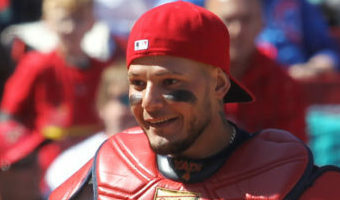 December 11, 2018 By Bill Pollock Yadier Molina is set to go under the knife. The Cardinals catcher will have surgery Thursday to address his sore left knee. Molina played through the injury during last season. The team expects him to resume his usual offseason workouts and running program by January if the procedure goes well. >>>Organization sticking with Fowler “If we were to open [the season] today, assuming he’s what we think he is physically, yes, he’d get that opportunity to start. 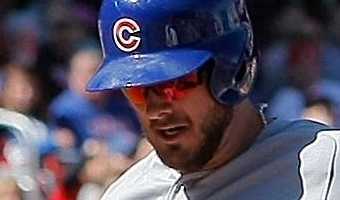 We’re certainly bullish on him coming into camp and reverting back to what we saw two years ago,” president of baseball operations John Mozeliak said Monday evening at the Winter Baseball Meetings. After making a big splash by trading for perennial MVP candidate Paul Goldschmidt, it appears the Cardinals are turning their attention to boosting their bench and bullpen and will not make a run at 26-year old Bryce Harper who could command … [Read more...] about Yadier Molina needs surgery. Cards out of contention for Bryce Harper?